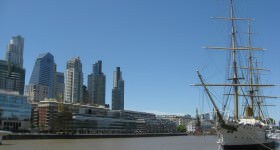 “That’s a terrible idea!” my ever-supportive wife exclaimed when I told her I was doing a running guide to Buenos Aires for The Real Argentina. “It’s the worst place in the world to go for a run.” As runners best described as ‘reasonably keen’ rather than enthusiasts, we went for a run most days from our apartment in La Paternal neighbourhood. 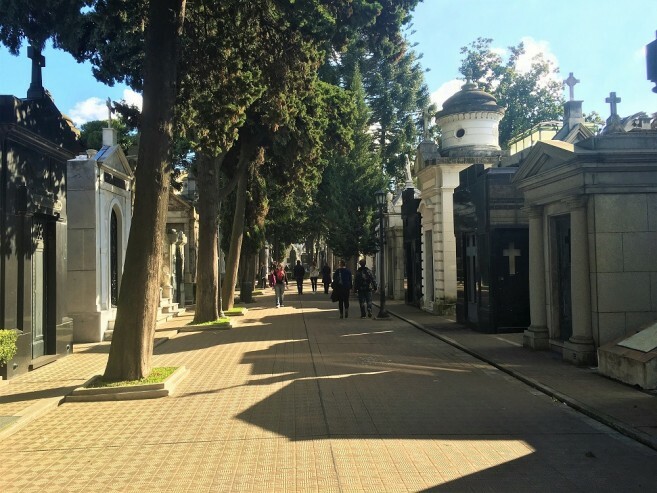 The usual route was around Chacarita Cemetery, not because it was particularly attractive (although it is a fascinating place to check out – the tango singer Carlos Gardel is buried there), but it provided at least a bit of crossing-free running. In some ways, my wife was right: Buenos Aires is made up of mostly neat little blocks and ten blocks is around a kilometre. That means on a five-kilometre run, you could be crossing some 45 roads, and the lights are not always going to go your way. However, I was aiming to prove her wrong. 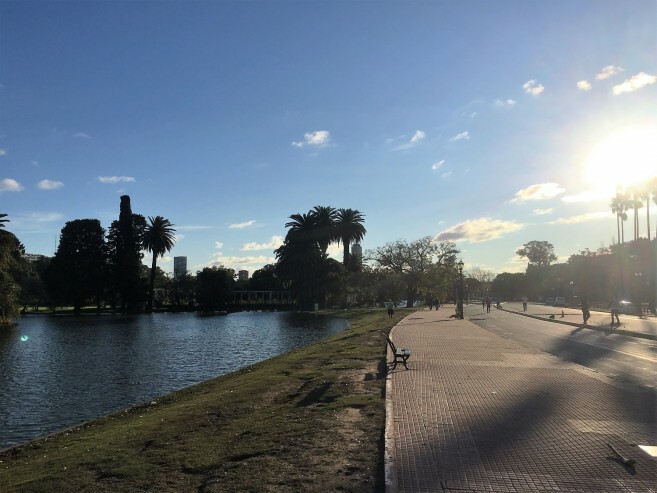 Buenos Aires can be a great place to run. 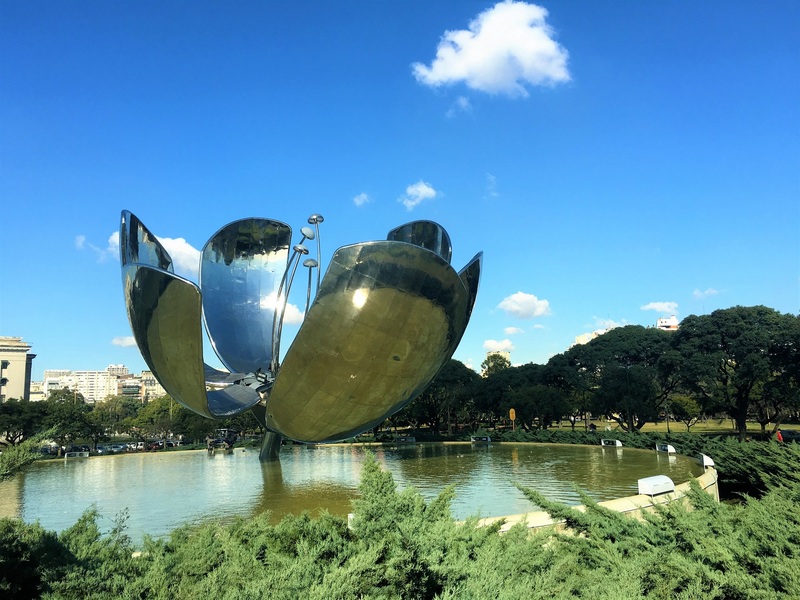 In fact, I found such a great route that takes in Recoleta Cemetery, MALBA, the Museo Nacional de Bellas Artes and the incredible Floralis Generica, plus plenty more. I always like to go for a run when I land in a new city; it gives me a quick overview of the place’s geography. 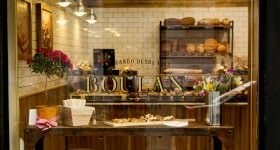 I returned to Buenos Aires after an eight-year absence so I decided to do this on my first morning back in Buenos Aires to get my bearings. 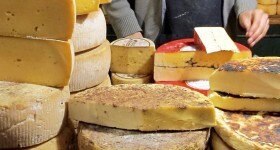 Especially as I was staying in a hitherto little-visited Las Cañitas (I’m not the turned-up collar type and last time I was there I was stood next to Shakira at the bar – no I didn’t fit in). It did however; turn out to be a very handy starting point for the best running route in the city (for anyone staying in Palermo there’s also a reasonably quick way to join it). Running in Buenos Aires, especially around the streets, is best seen as a video game. Those of a certain age will remember the Paperboy video game where the hero has to deliver papers while avoiding all manner of obstacles. Buenos Aires is like this. You will have to contend with doormen ‘watering’ the pavements outside apartment blocks which as well as the possibility of getting your socks wet, offers the additional challenge of incredibly slippery pavements (this usually happens between 8-8.30am, everywhere). Then there are the dog walkers. These guys and gals are often seen with a full harness and carabineer set with up to 20 dogs attached: even a pack of shih tzus is not something you want to run into. And while most dog walkers are good at cleaning up after then pack, we’re not quite at zero tolerance when it comes to dog poop. Add in dripping air con machines, broken pavements and the legality of cars turning when no one (supposedly) is crossing, then you’ve got an interesting, if stuttering run, on your hands (however, you will be able to cross the huge 9 de Julio street in one go if you’re running). There will be plenty of that ‘running on the spot’ while waiting for the lights to turn… that is until you arrive in one of the biggest green space in the city… and then freedom. All along the northeast side of Libertador Avenue is a lot of green space. Plenty of parkland, uninterrupted lanes and hazard-free running – in fact other runners are the most likely obstacle. 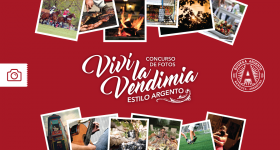 Without a doubt, the easiest place for a run is a sign-posted 10km circuit that starts and finishes at La Pampa and Av President Figueroa Alcorta, just to the north of the Lago de Regatas, but can be joined anywhere. This easy-to-follow trail also has eight ‘training stations’ with equipment for various exercises. 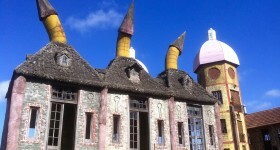 We’ve taken part of this trail and extended it to a 14km scenic route that takes in some great sights. We’ve started our trail – which is 14km long – at Olleros Subte station. It’s handy on the green Linea D, but if you’re in Palermo you can simply run down Avenida Sarmiento from Plaza Italia to pick up the route. 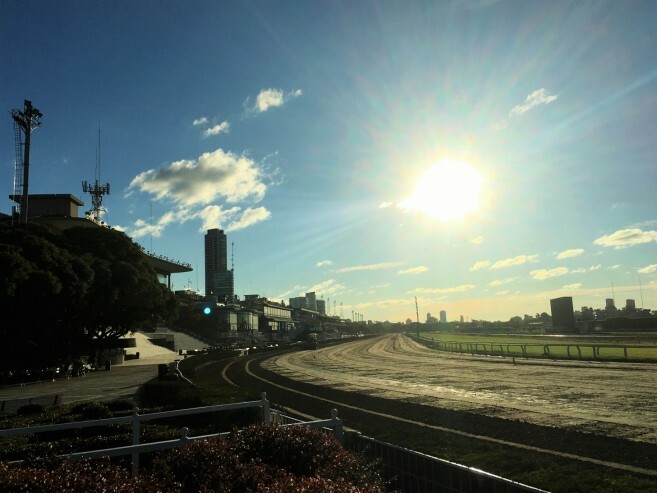 From Olleros, run down to the northwest end of the Hipodromo Argentino de Palermo, a grand place and worth having a quick wander around on the way back. The interesting bit is at the south corner on Dorrego and Libertador. Skip into the park and run around the Campo de Golf de la Ciudad along Alsina to the beginning of the Circuitos Gatorade 10km trail and follow it along Alcorta. 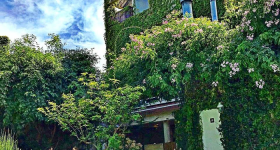 At Dorrego, however, take a right along the Hipodromo, turning left on Freyre and into the Bosques de Palermo –one of the nicest green space spaces in the city. Dodging around dogs, couple displaying disturbing amounts on PDA, and mate drinkers, follow Infanta Isabel around the lake. 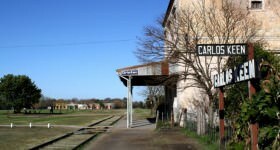 Cross Sarmiento and onwards along Adolfo through the wooded area to the Jardin Japones (if it’s open) and back on to Alcorta at Casares. 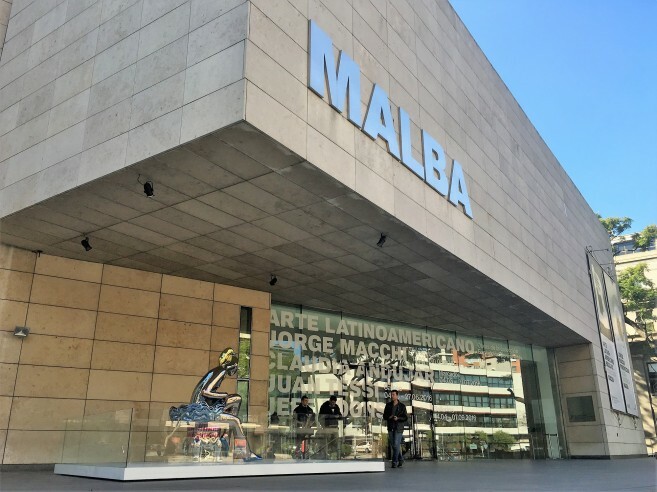 We’re back into city territory here – be prepared to jog on the spot at intersections – and on past MALBA, the fantastic Museo de Arte Latinoamericano. 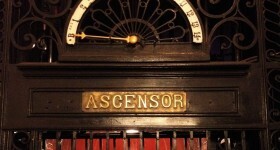 Check the opening times and be sure to return. We then get into embassy territory and to one of my favourite spots in the city, the Floralis Generica. 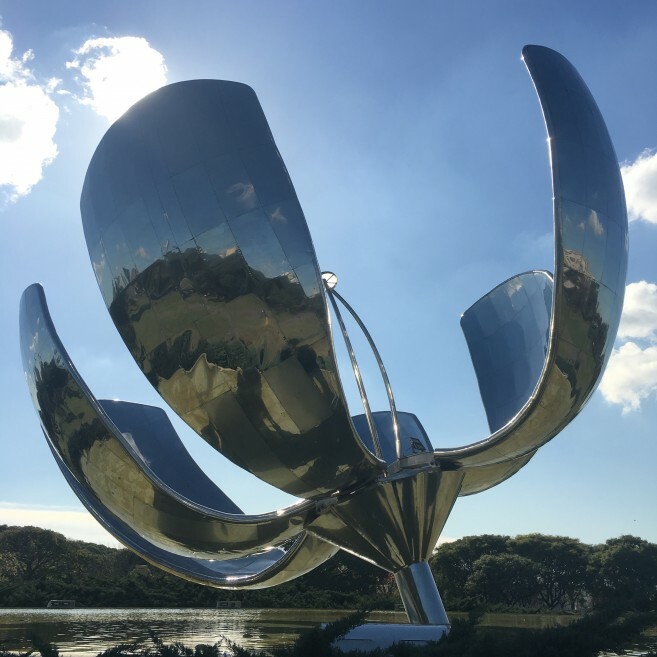 This huge reflective silver flower by artist Eduardo Catalano closes at night and opens in the morning. 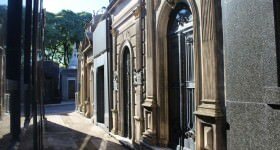 From there, pass by the back of the Museo Nacional de Bellas Artes – the fine art gallery of the city and up into Recoleta where you’ll find the cultural centre and the cemetery of course. 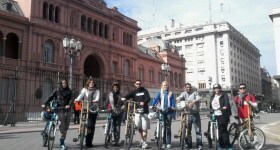 Heading back through Plaza Francia and along Libertador you’ll pass Plaza Mitre – the fella on the horse – and the Monumento a Eva Peron. 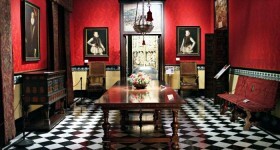 Farther along, just before Sanchez de Bustamente, is the Museo Nacional de Arte Decorativo. Stick to the right hand side of the road as there are less junctions along here. 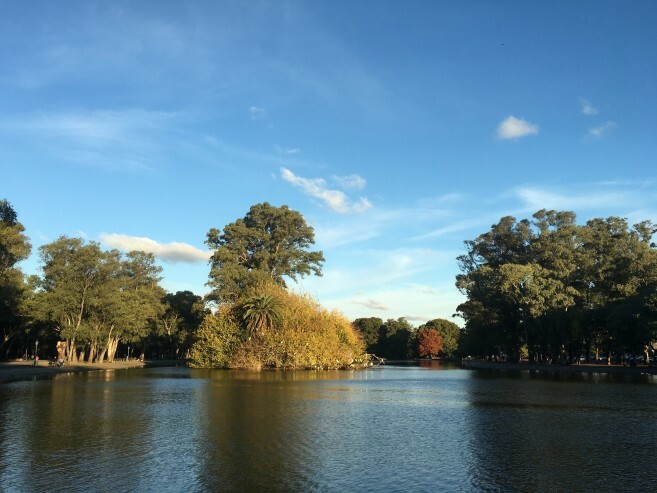 There’s plenty of paths through Parque Tres de Febrero, or the Bosques de Palermo, but as long as you hop back onto Libertador at the end you’ll be fine. 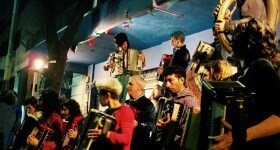 Then it’s the last job past the Hipodromo to Olleros and a walk back to the Subte feeling rather good about yourself. It’s also rather lovely and a run around here can take in plenty.